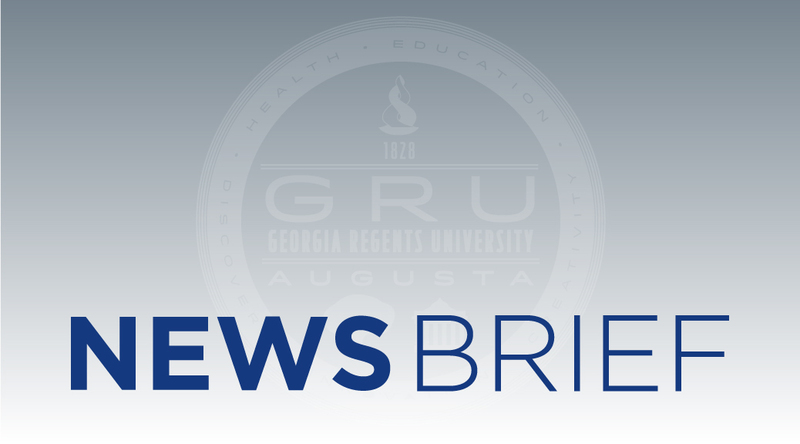 AUGUSTA, Ga. – The Board of Trustees of the Medical College of Georgia Physicians Practice Group Foundation, doing business as Georgia Regents Medical Associates, will meet at 5:30 p.m. Monday, June 22, in the Murphy Building, Pathology Conference Room, BF 103. AUGUSTA, Ga. – The Executive Committee of the Board of Trustees of The Medical College of Georgia Physicians Practice Group Foundation, doing business as Georgia Regents Medical Associates, will meet at noon on Wednesday, June 10, on the fourth floor of the Medical Office Building, BP-4306. AUGUSTA, Ga. – The Board of Trustees of the Medical College of Georgia Physicians Practice Group Foundation, doing business as Georgia Regents Medical Associates, will meet at 5:30 p.m. Monday, April 27, in the Murphy Building, Pathology Conference Room, BF 103. AUGUSTA, Ga. – The Board of Trustees of the Medical College of Georgia Physicians Practice Group Foundation, doing business as Georgia Regents Medical Associates, will meet at 5:30 p.m. Monday, March 23, in the Murphy Building, Pathology Conference Room, BF 103. AUGUSTA, Ga. – The Executive Committee of the Board of Trustees of The Medical College of Georgia Physicians Practice Group Foundation, doing business as Georgia Regents Medical Associates, will meet at noon on Wednesday, March 11, on the fourth floor of the Medical Office Building, BP-4306. AUGUSTA, Ga. – The Board of Trustees of the Medical College of Georgia Physicians Practice Group Foundation, doing business as Georgia Regents Medical Associates, will meet at 5:30 p.m. Monday, Feb. 23, in the Murphy Building, Pathology Conference Room, BF 103. AUGUSTA, Ga. – The Board of Trustees of the Medical College of Georgia Physicians Practice Group Foundation, doing business as Georgia Regents Medical Associates, will meet at 5:30 p.m., Monday, Dec. 15, in the Murphy Building, Pathology Conference Room, BF 103. AUGUSTA, Ga. – The Executive Committee of the Board of Trustees of The Medical College of Georgia Physicians Practice Group Foundation, doing business as Georgia Regents Medical Associates, will meet at noon on Wednesday, Dec. 10, on the fourth floor of the Medical Office Building, BP-4306.